Easter is traditionally a holiday which brings families together. Some even consider it to be on par with Thanksgiving and Christmas. You can use these Easter table decorations ideas to help make your dinner table beautiful. Center pieces can be as simple or as elaborate as you want them to be. 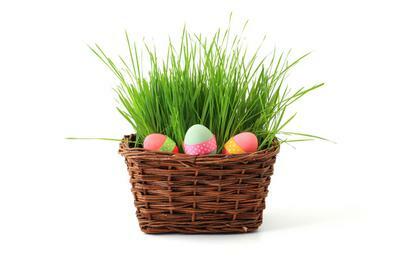 A simple center piece might be a decorated Easter basket, a single flowering potted plant, or a bowl with pastel colored candies. 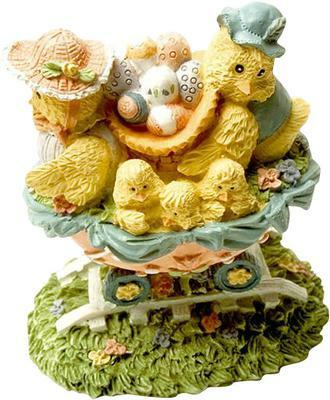 Add some plastic eggs, colored ribbon, or Easter grass and you’ve created a simple center piece. For a more elaborate center piece, place upturned bowls, bricks or other items to the center of the table to give it different heights. Place a table cloth over these items and then place several flowering potted plants on top of them. 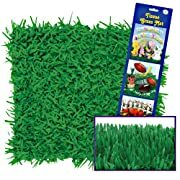 Spread colored glass and Easter grass around the plants to add even more interest. If you have small ceramic or toy bunnies, you may want to add those, as well. Ask your children to make place cards which have each guest’s name on them. 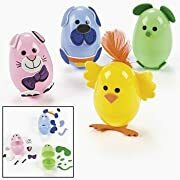 They can also use plastic eggs with names painted on them. 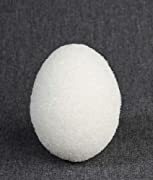 For fun, help the children make cookies of typical Easter shapes. Decorate the cookie with the guest’s name. Not only will they know where to sit, they can enjoy the cookie later. 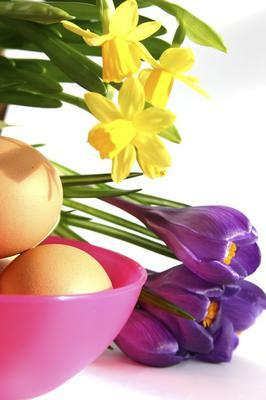 Easter lilies, hyacinths, daffodils, and tulips are common flowers in early spring. Many Easter lilies have a strong smell so you may not want to place them in the dining room as they may be overpowering. Vases of flowers spread throughout the home may be nice and will bring the beauty of springtime indoors. One flower arrangement you may want to try is to place several daffodils and crocuses in a large pot. Stick a small tree limb with several branches into the center of the daffodils and then hang tiny Easter eggs on strings on them. If you’re not accustomed to using your good dishes very often, Easter is a perfect time to bring them out. In fact, why not go all out when it comes to your table setting? Use the good china and silver wear; your family will enjoy seeing them being used. You may want to invest in some chargers to place under your plates. This will dress up your table settings. They can be used any time you want to dress up your table, whether you bring out your good dishes or not. 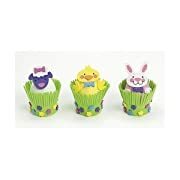 If you’ve never decorated much at Easter, you might want to use these Easter table decorations ideas or come up with some of your own. With the variety of flowers and traditional symbols available there are so many options you can come up with. Have fun decorating and celebrating the holiday! 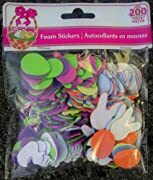 There are lots of creative and fun craft ideas for the whole family in our main section here, so just check out Arts and Crafts for Kids. And I'd love to hear your views or suggestions too! Just click the Comments link below and tell us your craft ideas or share your pictures of crafts you loved making - Thanks! Join in and write your own page! It's easy to do. How? Simply click here to return to Crafts.